This post is sponsored by Fashion Drug. 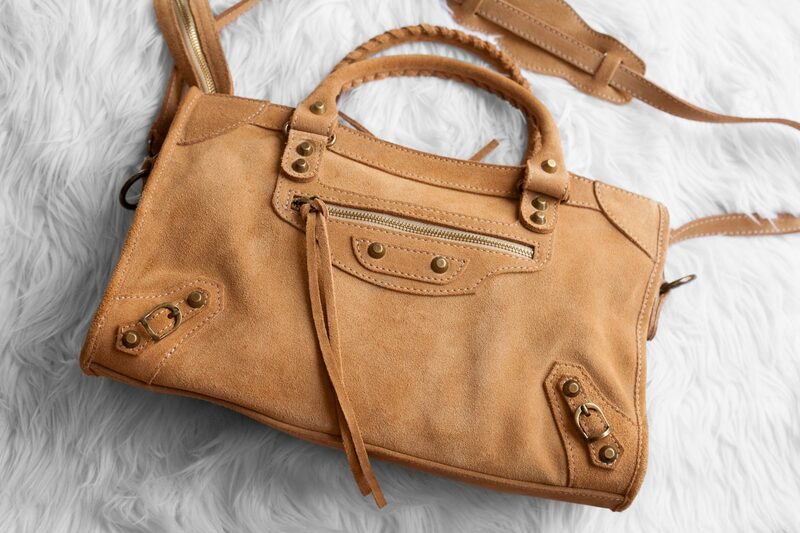 To buy Fashion Drug‘s Balenciaga-inspired City Bag for €89.95 (approximately $105 USD), click here. Don’t forget to use code “Aileen10” for 10% off all Fashion Drug goodies! 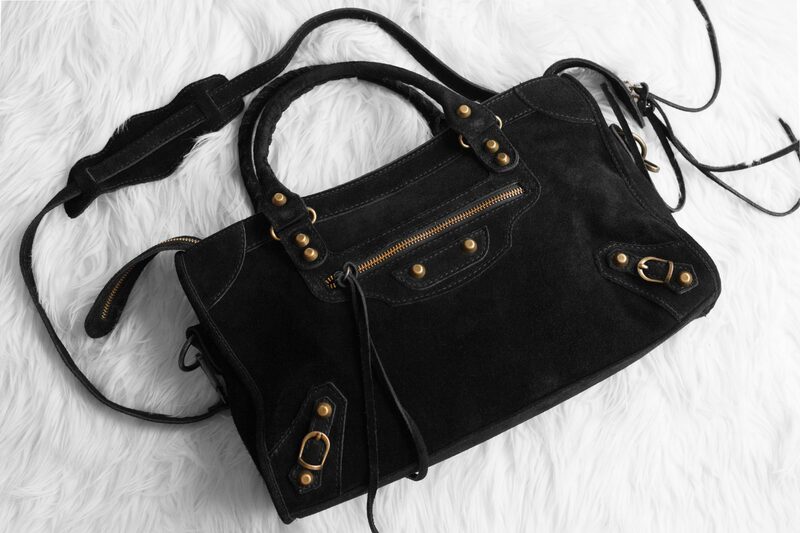 The ever-popular City Bag has been one of the staple items Balenciaga is known for, and I’ve been absolutely fawning to get one for the longest time. 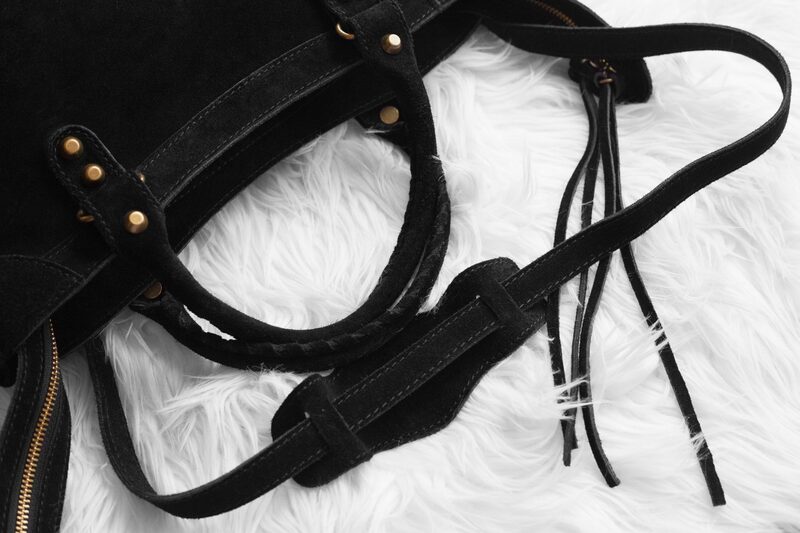 Its moto-esque hardware and slouchy construction makes for a handbag that’s casual, badass, yet still upscale and bold. Since I’ve fallen in love with Fashion Drug‘s many handbags in the past, you can probably bet that I’ve been earmarking their City Bag handbag. It’s extremely close to Balenciaga’s in terms of design, so it was a no-brainer I was going to get one. 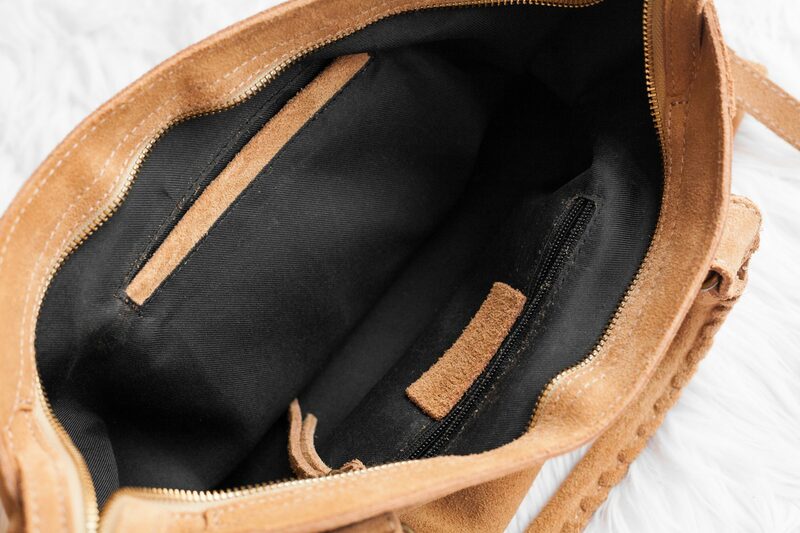 The next problem became which one I would get… and due to indecision, I got it in both black and tan suede. FYI, Fashion Drug carries so many designer-inspired handbags similar to YSL, Hermés, Valentino and more, but for a fraction of the price. 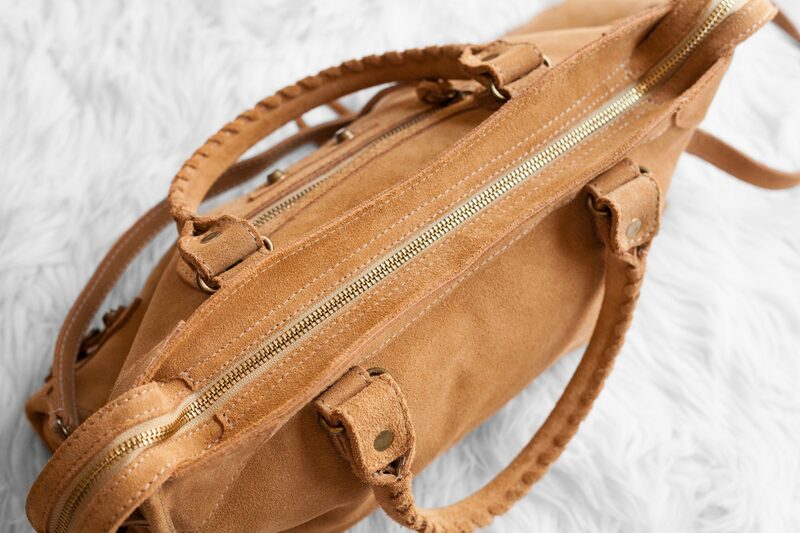 They’re also not made of synthetic materials but genuine Italian leather and suede, which makes them such a budget-friendly way to luxe up your handbag game. They’ve also been expanding their clothing collection which features T-shirts with puns on brands like YSL, Moschino and Gucci. All Fashion Drug handbags are €89.95 and under, which is roughly about $105 USD. Mind you, I’ve owned my other FD handbags (Tiger Bag, Tiger Mini and Belt Bag) for well over a year now and they’ve all held up just as well as my real designer bags, so it’s safe to say that these babies will last you a long time, regardless of the price. Alth0ught the leather finish seems to be most popular, I am a huge fan of the matte feel and soft finish that I much prefer over regular leather. 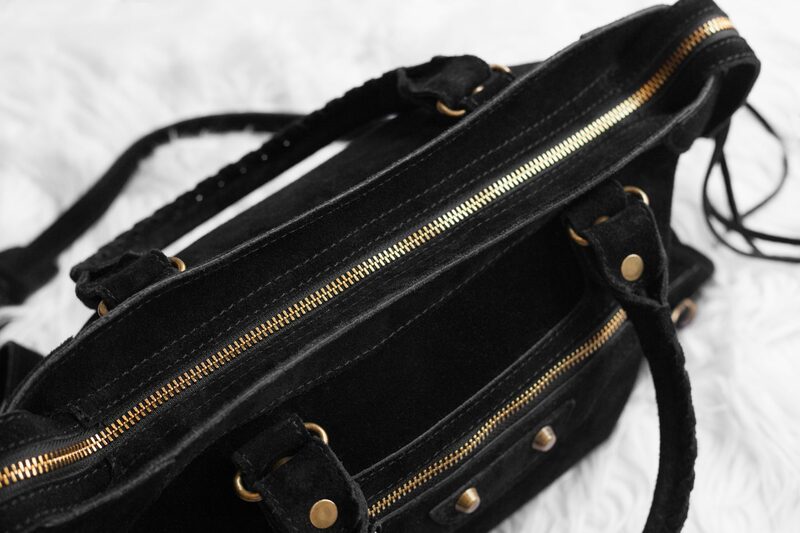 And both black and tan look so buttery rich in suede that it just altogether looks that much more luxe. 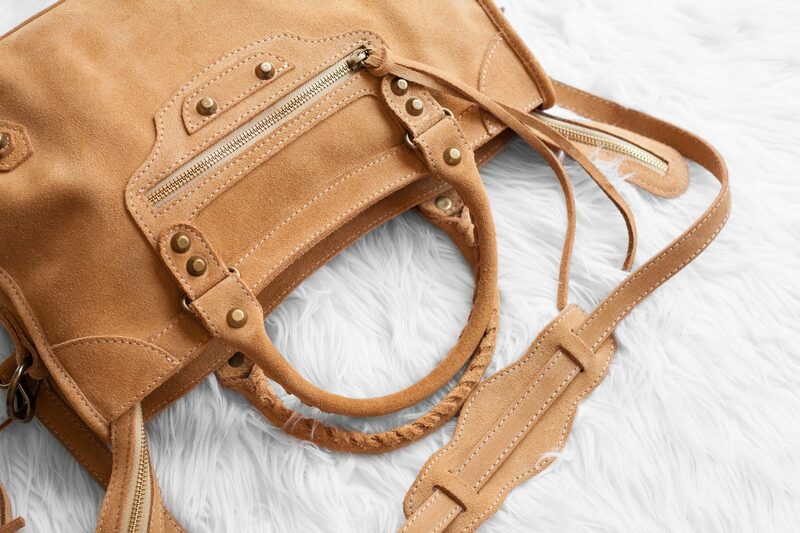 The downside to the suede rendition of this bag is that because the design itself significantly less structured than most bags, the suede, in turn, looks more slouchy. 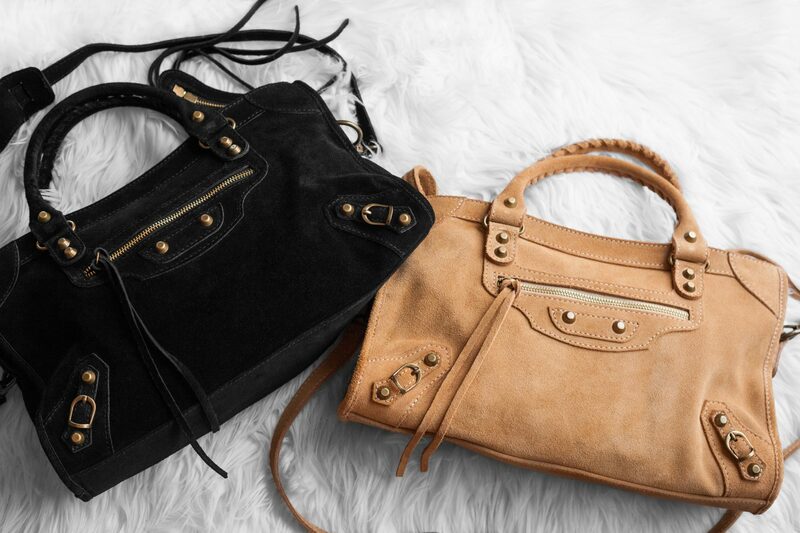 Again, it boils down to personal preference, but I feel like the suede looks much more flattering on this handbag because it’s a more casual style anyway. 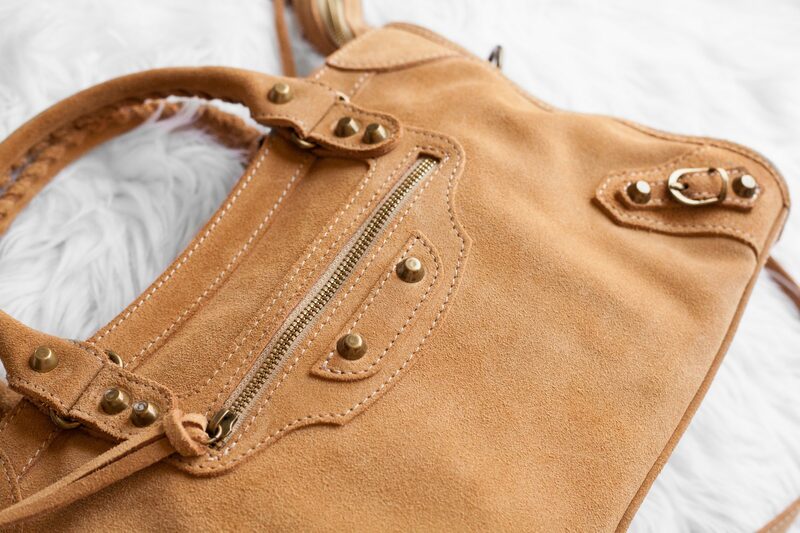 Hardware: The zippers on this handbag are well-weighted and pretty solid, as well as the rest of the brass hardware on the front face of the bag. One of my pet peeves is cheap plastic hardware that’s painted to look brassy, but this handbag definitely has durable hardware. Suede: Let’s get back to my obsession with suede: I love suede. It might be a bit more high maintenance in terms of proper care than leather, but this suede is too buttery soft to pass up! Be careful not to get it wet or stained; however, if this happens, there’s nothing a good suede brush and cleaner can’t do to tackle stains and store the texture. The nap on this suede handbag seems to have shorter fibers than some of my other suede items, so I’m sure there won’t be any significant issues posing a threat to the nap. Stitching: Sheesh, I’m starting to feel like my Fashion Drug reviews are becoming a smidge redundant, because there’s not much to report on the stitching except for the fact that there isn’t a single one out of place on either my black or tan bags. I guess it comes with the territory of being made of Italian suede! 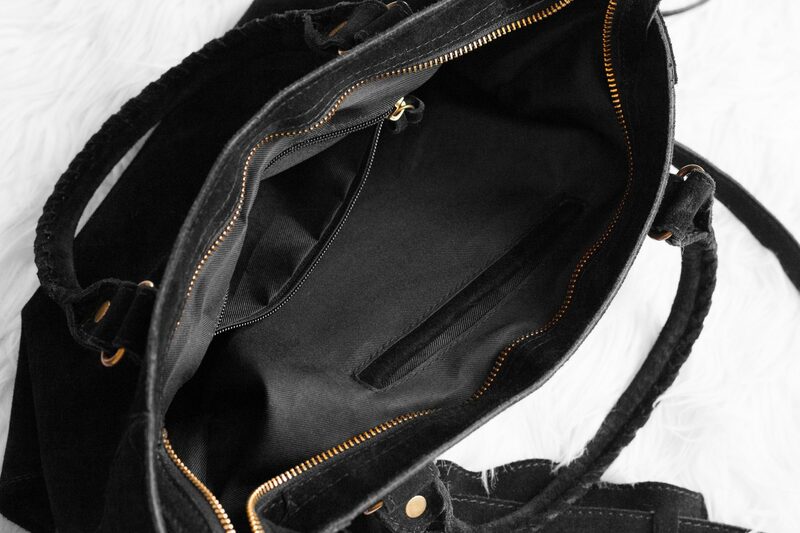 Interior pockets: The interior features one open side pocket and a plastic-zippered pocket. 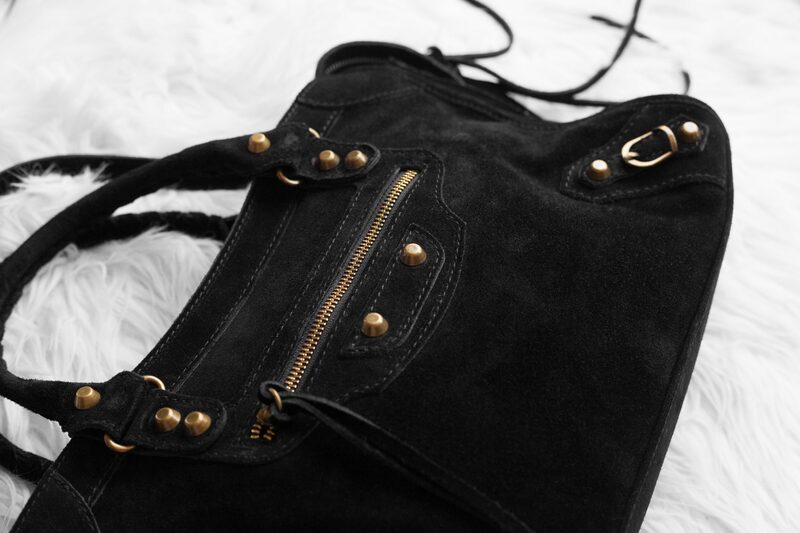 The lining is fabric, albeit one a bit stiffer than the cloth used on most handbags, but I’m assuming the reason for the choice in textile is to counteract the slouchy structure of the bag coupled with the weight of the suede. Every item I’ve ever gotten from Fashion Drug has always arrived between 2-3 weeks. I usually cringe at getting items outside of the US (especially China because it takes forever), but perhaps items from the Netherlands just ship faster than other countries. Thanks, Netherlands! That said, don’t expect 2-day Prime shipping, so don’t order if you’ve got a time-sensitive event you intend on wearing any FD merch to. One minor thing I’d point out as a con – and this is me seriously nitpicking to find something bad – is that the handles are not as stiff as Balenciaga’s, but honestly, it’s not even a big deal. What a great site! So sad the bag I want is sold out though. Imma keep my eye out for totes ! I believe they just restocked the City Bag shortly after I posted this so check again! As always your suggestions are perfect! Let’s see if you can help me on this: I’m on a hunt for a green bag , I want something I can wear everyday which wouldn’t be too small?